These are just some of the many misconceptions that women of African heritage hold about their hair. If you’ve ever made any of the above statements then this article was written for you in mind. That fact is that although many of us have felt as if our hair is incapable of growing beyond shoulder length, this is simply untrue. The actuality is that with proper care and caution, every one of us can significantly improve our hair’s growth and retain far more length. 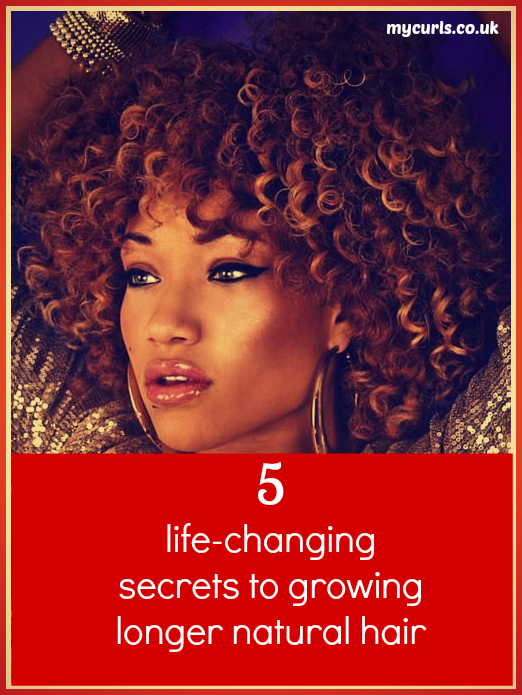 Here are 5 life-changing secrets that will help you to drastically transform your hair’s length, strength and overall health. The way you feel about your hair internally has a direct effect on its external progress. In essence, this means that the way you feel about your hair, your self-esteem and your hair’s ability to grow has a direct correlation with your hair’s actual chances of growing longer. Well, think about this. If you believe that your hair is ugly, impossible to look after and difficult to manage, you’re ultimately going to treat your hair as if it the bane of your existence. If however, you have a positive attitude towards your hair, see it as being beautiful and strive to improve it you’ll naturally feel the compulsion to take better care of it. Ultimately, that will mean that you’ll handle your hair with more caution, you’ll treat it better and in doing so, you’ll reduce the damage caused when handling it. Don’t believe me? Think back to a time when you visited a salon and had your hair treated by someone who didn’t like or understand naturally curly or afro hair. Their disdain for it was evident and so they yanked your hair with a thin-toothed comb and practically ripped your hair out of your head! The way they felt about your hair had a direct correlation with how they treated it and the same applies for when you manage your own hair. Remember, the way you feel about your hair internally has a direct effect on how you treat it! By reciting these affirmations you’ll open up your heart and mind to a world of self-acceptance and personal growth. Furthermore, you’ll feel happier about yourself which is always a great thing. Create your own unique, custom-made hair regimen. There’s a lot of talk these days about hair regimens and it can sometimes feel as if the advice you receive on how to care for your hair is contradictory. That’s why it’s essential that you get into a habit of not only finding products that work for you but also finding a regime that works specifically for your hair type. Once you’ve come up with your regime, get into a habit of making it a daily ritual to look after your hair. For instance, you could spend 5 minutes each night moisturising your scalp and 5 minutes in the morning spritzing your curls with a home-made hair spray. Deep conditioning your hair once per month. These 5 things are fundamental practices that natural (and even relaxed) haired girls should follow. Rather than getting distracted by the newest hair care craze, focus on making the above 5 things a part of your hair care schedule so that you keep your hair in great condition. Last but not least, set yourself hair goals. For instance, science tells us that the average person (regardless of ethnicity) grows about 6 inches of hair per year. Therefore, you should aim to give yourself a hair growth goal that is in line with this. The main focus however, should be on setting yourself a goal that is realistic and attainable for your hair type. Also, try not to compare your hair’s growth to someone else’s because quite frankly, your hair is not the same as the next person’s and therefore your hair will grow at a different speed. 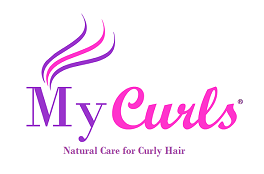 If you liked these tips, sign up for great free resources by joining our newsletter at mycurls.co.uk.